Wal-Mart Stores, Inc. (WMT), Target Corporation (TGT), Costco Wholesale Corporation (COST): A Value Play, A Growth Play, And A Dud! Grocery stores and retail chains usually generate consistent cash flows due to their convenience and utility factor. But this stability makes it difficult for retail chains to report double-digit growth without inorganic expansions. However, there are a few retail chains that have growth catalysts lined up to power pack a rally for 2013. Shares of Wal-Mart Stores, Inc. (NYSE:WMT) have been under pressure lately because of its earnings miss in the recent quarter. The retailer mainly caters to the poor and middle class population, which has been financially crunched due to rising gasoline and natural gas prices. Management confirmed that the coming quarters could be stressed if its clientele continuously bears inflationary pressures. But, with the oversupply of crude, its prices have plunged to below $100, which has relaxed travelling expenses by up to 10%. Although crude prices may head north over the longer run, analysts estimate that its oversupply could drag Brent crude prices down to around $95 over the short term. Furthermore, the pending minimum wage bill, which demands a 37% hike in minimum wages, could further relax the middle and poor-class population. Since the U.S. economy is showing signs of recovery, on the back of higher consumer spending, it’s highly unlikely that the minimum wage bill would be knocked off the table. 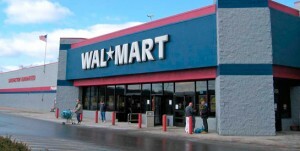 Altogether, these factors would increase the disposable income of the average Wal-Mart Stores, Inc. (NYSE:WMT) customers, which would eventually begin to show up in its financials. In my opinion, the positive effects of lower oil prices could be seen almost immediately in the coming quarters. Even Target Corporation (NYSE:TGT) seems well-poised for an upside. The store chain operates with over 1,700 stores, mainly spread in the U.S. and Canada. Its management announced that it would be remodeling 100 of its existing stores this year to improve the shopping experience and allow efficient product placement. Furthermore, Target Corporation (NYSE:TGT) would be investing $2.3 billion to open around 124 new stores in the U.S., which would eventually boost net sales by up to 8%. Besides that, the company is also reporting record mobile traffic. For the recent quarter, mobile purchases accounted for 7% of total sales, while mobile traffic accounted for around 25% of overall digital traffic. It’s a well-known fact that mobile payment solutions are catching up fast, due to their timely and convenient mode of transactions. But, that’s not all. As its mobile payment solutions gain greater acceptance, Target Corporation (NYSE:TGT) would be able to indulge in direct advertising, at virtually no cost.